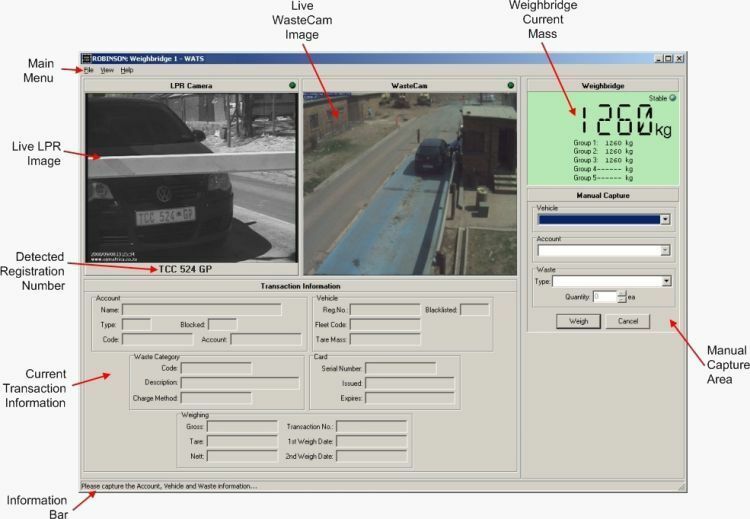 WATS™ (Weighbridge Automated Transaction System) is a weighbridge automation system used for unattended or operator-supervised control and recording of weighing information for vehicles and their cargo. The weighing information can be stored in WATS™ own database or it can be configured to write to a third-party database. 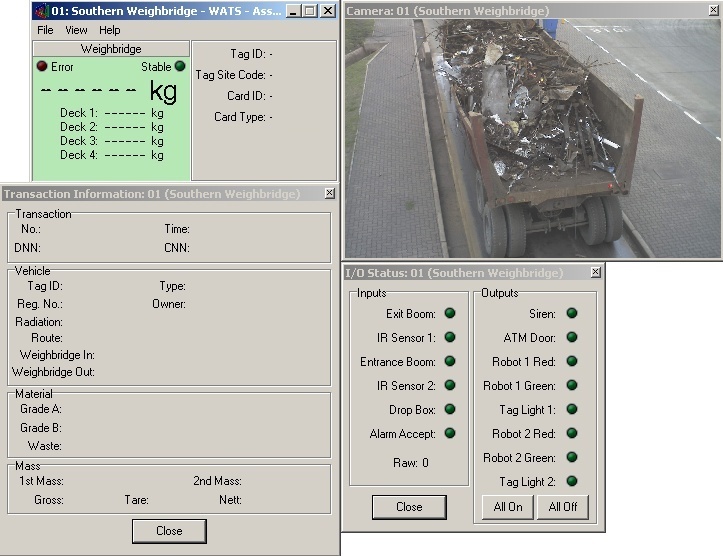 WATS™ has the ability to interface to and automate the control of weighbridge indicators (scale instrumentation), traffic lights, automatic number plate recognition (ANPR) systems, RFID devices (including contactless smart card, MIFARE, and NFC - Near Field Communication technology), digital imaging cameras, receipt printers, boom barriers and tyre-shredders. WATS™ stores the weighbridge transaction information to its own or third party SQL database, and comprehensive reports and statements can be generated via our WATS™ web-based reporting system. Depending on the type of weighing transaction, little or no operator input is required. Using traffic lights and boom barriers controls the flow of vehicles over the weighbridge and ensure vehicles are correctly positioned on the weighbridge. With the use of contactless smart cards, the vehicle, client and goods being hauled are quickly and accurately identified. 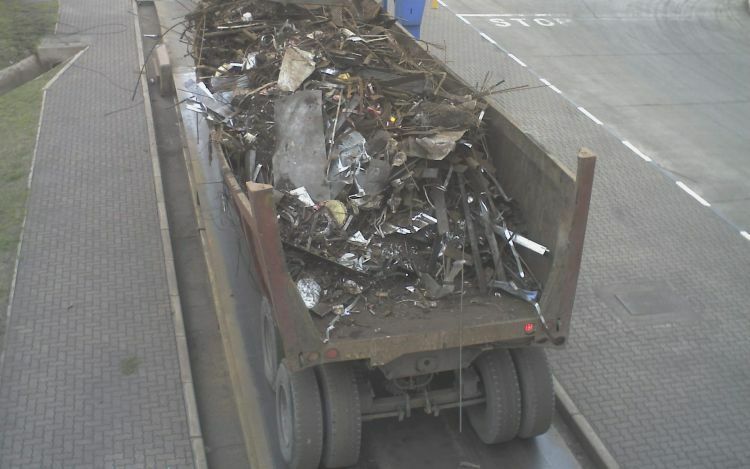 Using cameras, booms barriers and tyre-shredders, ensures that the weighbridge is used correctly and that the vehicle's mass is measured accurately without abuse. 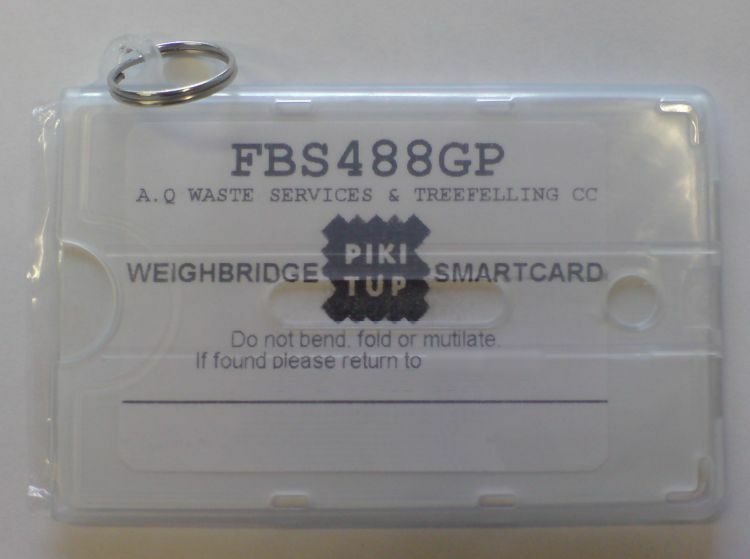 Using digital cameras, photographic evidence of the weighing transaction and the product/goods being hauled can be automatically taken at the time of the weighing. WATS™ can be used in conjunction with our Data Exchanger™ allowing for the transmission of transactional information to an off-site database. Our WATS™ web-based reporting solution provides users and customers with access to a variety of reports, invoices and statements as well as the ability to managing vehicles, products and accounts. 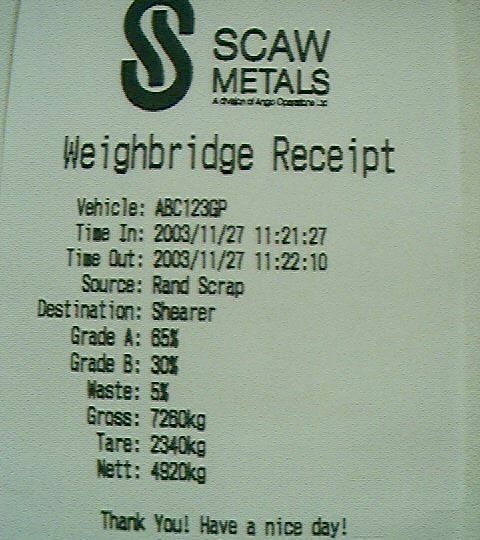 (Gauteng, South Africa) 12 Used for the weighing of scrap metal entering processing plant. Monitoring movement of materials within the plant. Control of fulfilment of orders for customers. Mass verification of products leaving site. (Gauteng, South Africa) 2 Used for the weighing of the coal supply entering power station. (Gauteng, South Africa) 2 Control of fulfilment of orders for customers. (Gauteng, South Africa) 1 Used for the weighing of product entering and exiting their site. (Johannesburg, Gauteng, South Africa) 10 Used for the weighing of waste material entering and exiting their 7 landfill sites. (Bloemfontein, Free State, South Africa) 3 Used for the weighing of waste material entering and exiting their 2 landfill sites. (Gauteng, South Africa) 2 Used for the weighing of waste material entering and exiting their landfill site. (Machadodorp, Mpumalanga, South Africa) 2 Weighing of raw material entering site. Montoring of movement of materials between stockpiles. Control of fulfilment of orders for customers via road or rail truck. (Beeshoek, Northern Cape, South Africa) 2 Weighing of raw material entering site. (Kao, Lesotho) 1 Weighing of raw materials moving in and out of the site.